What prompted you to start this account? There are many reasons why Gremlins 2 remains relevant, even twenty-eght years after the film’s release. One important reason is the way the film adapts the cartoonish ethos of Looney Tunes, which allows it to treat reality with a certain playfulness and plasticity. In recent years this has become popular again – surreal humor and elaborate descriptions of cartoon violence are mainstays of internet humor, perhaps reflecting a media and political environment that has become unmoored from reality. Gremlins 2 was aware of this connection (between mass media and unreality), which is why the film takes place in a skyscraper that houses the Clamp Cable Network studios. This is also reflected in the nature of the Gremlins themselves – the more they reproduce and multiply, the more absurd and novel the types of Gremlin must become. The delirious, exaggerated atmosphere of the movie sequel has invaded every other aspect of our culture. The demand for ever-escalating novelty – in products, movies, television, news – can only end in one place. 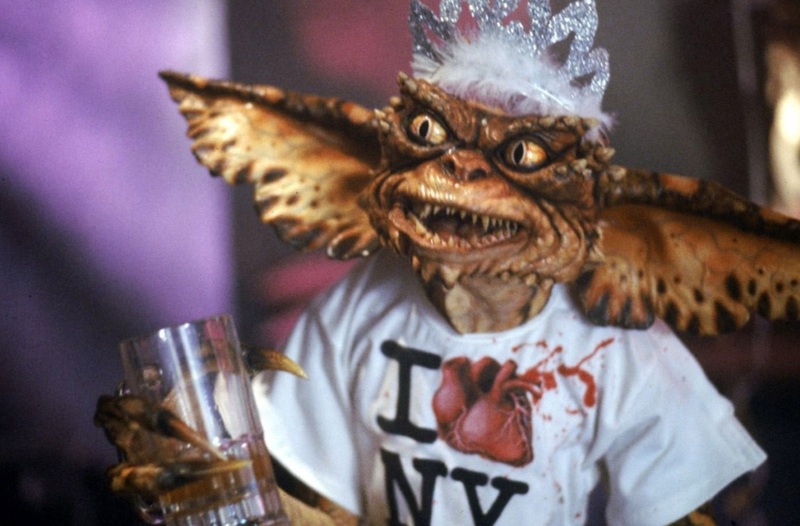 Gremlins 2: The New Batch is the inevitable terminus of this culture. Teleology is ultimately a form of magical thinking. The accelerationists will be chasing after the technological singularity in the same way an anorexic endlessly pursues the idea of thinness. There is no teleology to consumer capitalism, only Gremlin-esque irrationality & waste.